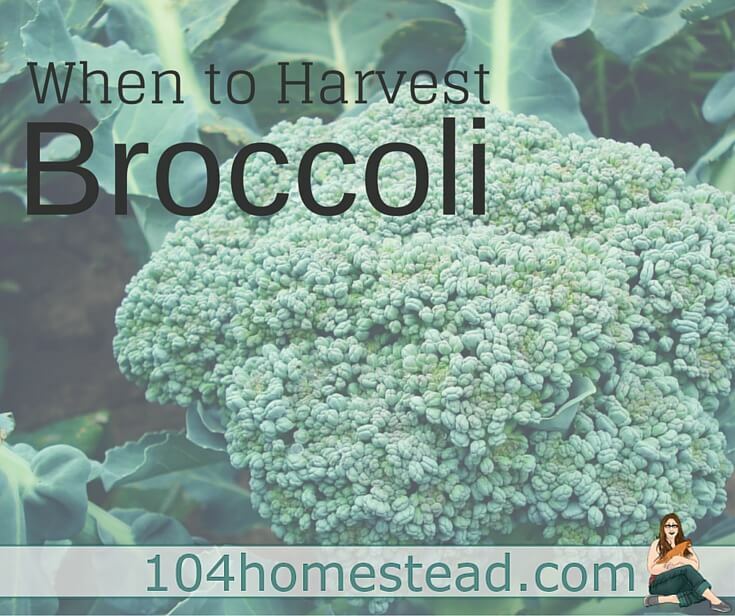 Broccoli and cauliflower are two vegetables that I find incredibly difficult to harvest. It’s not actually the harvesting part that is difficult, a sharp knife will do the trick, it’s the when that I find challenging. The packet says 55 to 60 days, but I live in Maine, things take a bit longer. If you live in a hot climate, you might find things go a little faster in your neck of the woods. When it comes to broccoli, too soon and the heads are tiny, too late and you have open florets on their way to flowers. So how do you reach a balance? What do you look for at harvest time? Even though I’m focusing on broccoli today, the same rules apply to cauliflower as well. The head should be between 3 and 6 inches for most varieties (your seed packet may give you a better idea of mature head size). The florets should be tight without being squished together. They should move a bit when you run a finger over them. The color should be a nice deep green color. Yellow tinting means flowering is imminent. 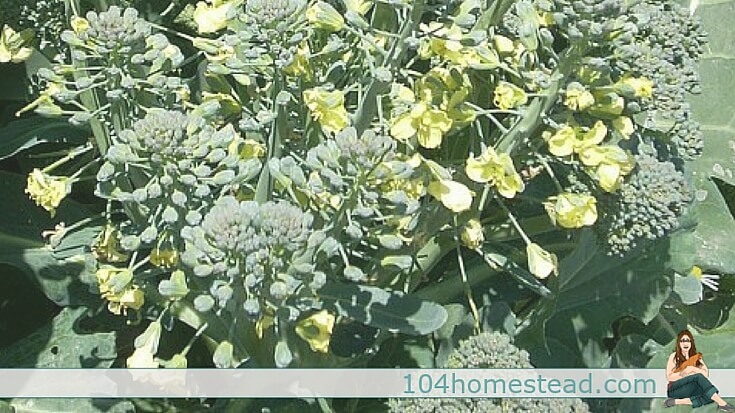 If your florets are getting stringy, or they are turning a significant yellow tint, your broccoli is about to bloom. It will be too bitter to eat. If you waited too long, keep reading because you may still be able to enjoy the second round. When you’ve decided to harvest, grab a nice sharp knife. The easier it is to cut the broccoli head, the better it is for the plant. Cut the head off in one swipe, leaving a 6″ stem. Store in a cool place for up to a week or you can preserve your broccoli by freezing or canning. Did you manage to cut off the mature head in one swipe? Congratulations! You just increased your odds of getting healthy offshoots. Your broccoli will grow more heads from the wound of the first cutting. They won’t be as large, but they taste just as good. This time you will get several heads. The color and florets will be indicators of harvest just like the main head. You can harvest these individually. You’ll want to harvest the head(s) in the center first so the ones along the outside will have more energy to grow larger. 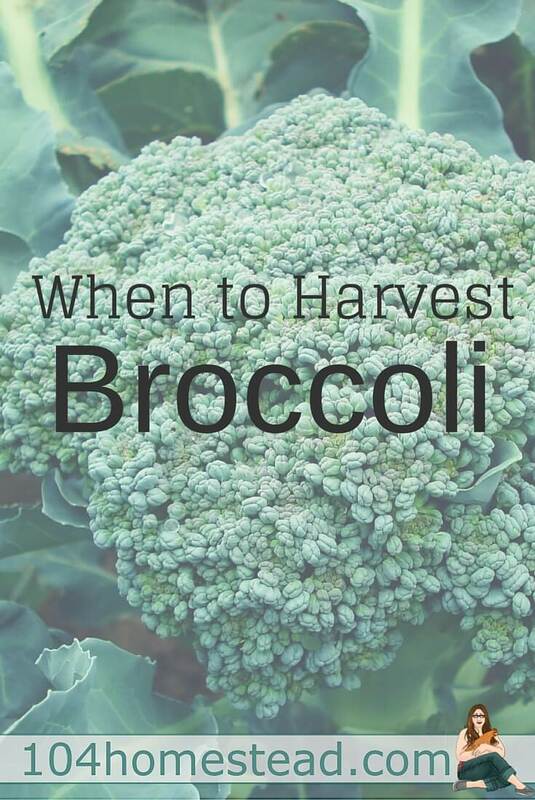 Have you mastered broccoli harvesting? Thanks for this information! I just looked at my broccoli and noticed I missed the first window to harvest. It seems like the heat we are having just made this seed so much sooner than normal… silly early spring…. Now I know not to just rip up the plants and hope it will cool off enough to grant me a second chance! Great information. I also find the window for harvesting is difficult to judge. I am still enjoying little florets this year. I usually freeze the large heads and enjoy the florets all summer long. Thanks for sharing!